Velma Marie (Houchin) Deppa, aged 87, of Portland, Oregon, passed away on the 23rd of January 2019. Velma was born in Butte, Montana on November 1st, 1931 to Bert and Marie Houchin. She graduated Butte Central Catholic High School in 1950 and continued on to receive a degree in accounting from Northern Montana State College in Havre, Montana. Velma was married to Duane Deppa on the 21st of August 1954, in Butte, Montana; they were married for 41 years. Velma founded Beaver State Scaffolding with her husband Duane in 1974 and ran the business for 40 years. 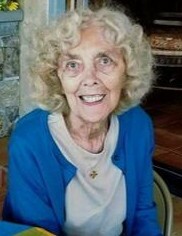 She enjoyed trips to the beach, working in her garden, wildlife and daily crossword puzzles. Velma is survived by her children, Tim, Jerry, Kevin, Valerie and John; her grandchildren, Jeffrey, Lisa, Christopher, Stephanie, Alexander, Robert, Andrew, Matthew, Michael, Jack, and Nicholas; and her great-grandchildren, Ryder, Hudson, Eleanor, Robert, Sophia, Rosemary, Madelyn, and Maverick. Velma was preceded in death by her husband, Duane; son, David; grandson, Brian; her sister, Annabelle; and brother, Sonny. The Family of Velma Deppa would like to thank Meals on Wheels for their kind service.